Barry Borman (centre) with fellow researchers awarded a Ministry of Health grant investigating the links between the environment and the health of New Zealanders. From left Kylie Mason, Anna Matheson, Helene Marsters, Deborah Read, Mathu Shanthakumar, Caroline Fyfe, Fei Xu, Kirstin Lindberg. Absent, Riz Firestone. A new $1.86m contract has been awarded to a research team from Massey University’s College of Health to investigate links between New Zealand’s environment and the health of its people. The funding from the Ministry of Health will allow the team, led by Associate Professor Barry Borman from the University’s Centre for Public Health Research, to continue its work on the Environmental Health Indicators (EHI) Programme for three more years. The programme, which started in 2009, informs and provides statistics on how the environment affects the health of New Zealanders including traditional indicators such as air and water quality. The team has created a national hub for environmental health indicators. It includes monitoring existing and developing new indicators, overseeing the Hazardous Substances Surveillance System that monitors injuries, disease and deaths related to hazardous substances exposure and includes GP notifications of hazardous substances diseases and injuries (HSDIRT); and the New Zealand Environmental Burden of Disease Study that quantifies the impact of the environment on human health for specific exposures. Analysis from the programme is used as evidence for policy development and decision making in health-related sectors. Major stakeholders in the project are the Ministry of Health, Ministry for the Environment and the Environmental Protection Authority. The focus of the programme is making data and information useful and relevant for a wide range of users: government departments, district health boards, public health units and local councils. The data and will also be made accessible to everyone through factsheets, brief summary reports, various data visualisations, and the EHI website (www.ehinz.ac.nz). Dr Borman says the new contract will also extend their areas of research including: developing EHIs for vulnerable populations, an environmental health profile for Māori, an environmental health profile for children and a composite index for environmental health. Massey is also investigating options for collaborations with the University’s EpiCentre and Joint Centre for Disaster Research, United States Environmental Protection Agency, University of Hawaii, University of Montana and also with some Pacific countries, with the aim to develop a hub for environmental health indicators in the Pacific. 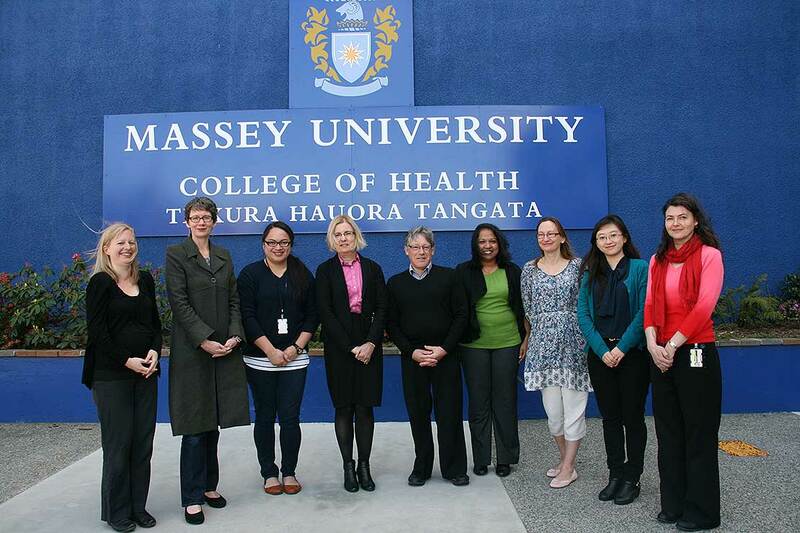 See also the Massey website CPHROnline.massey.ac.nz - an online atlas for environmental health.